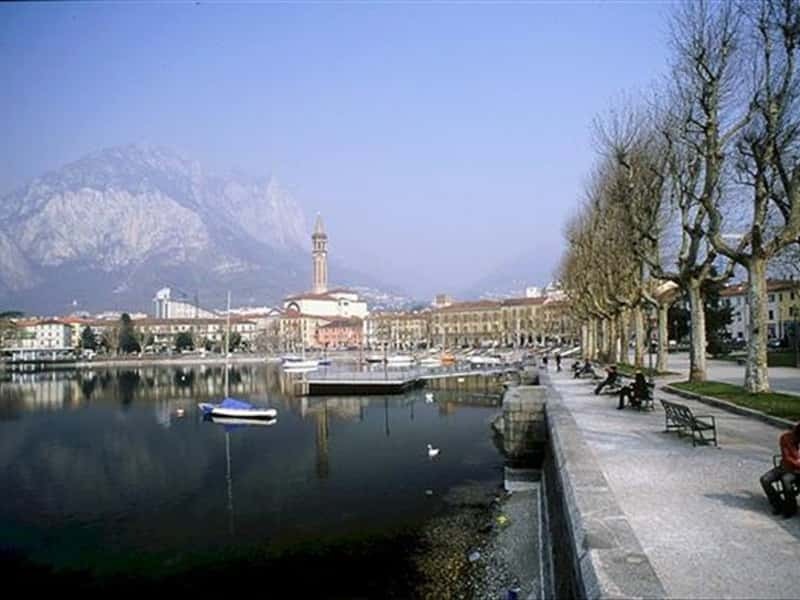 Located at the south-west corner of Como Lake, the city of Lecco rises on an area inhabited since the ancient times. During the Middle Age it increased its military and strategically importance: in the XII century, Lecco allied itself first with Milan, then with Barbarossa; in the XIII century it obtained its own institutions and began to build fortifications and in the XIV century it came under the seignory of the Viscontis and then of the Sforzas. The Town Museums, founded in 1888 by Carlo Vercelloni, is a complex of five different museums (the Civic Archaeological Museum, the Civic Manzoni Museum, the Civic Natural History Museum and Planetraium, the Art Gallery and the Civic Historic Museum), set in three prestigious buildings: the Torre Viscontea, the Belgioioso Palace and Manzoni Villa. The Basilica of San Niccolò is the most important religious building of the city; in Neoclassical style, it preserves numerous XVIII century furnishings by the Fantoni from Roveretta, a baptismal font dated back to 1596, some Romanesque elements and a chapel with frescoes illustrating St. Antonio's story (XIV century). The bell tower, in Neo-Gothis style, is the symbol of the city. This town web page has been visited 23,927 times.